PLEASE NOTE: This show has sold out. Watch this space for details of future James Yorkston shows. 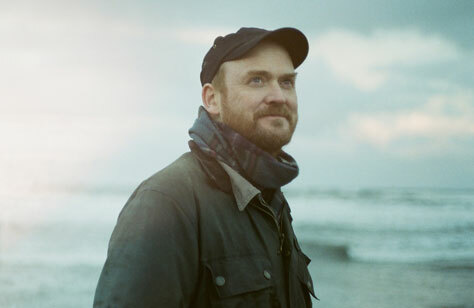 We’re delighted to be welcoming James Yorkston back – this time, to the Kings Arms, with guest Viking Moses. James Yorkston will release his new album The Route to the Harmonium on 22 February 2019; produced by Yorkston and David Wrench, it is James’ first solo record since 2014’s Cellardyke Recording and Wassailing Society (CRAWS) and follows the two collaborative albums he made as one third of Yorkston/Thorne/Khan as well as the release of his debut novel Three Craws in 2016. Alongside the announcement, James has shared new song My Mouth Ain’t No Bible – one of three thrilling spoken-word pieces on the record. It thrums insistently, military snares punching away, Yorkston’s delivery interplaying as two competing voices, one of himself, the other a lost musician friend, ‘a spare hand, a hired hand, a deck hand’ who was unable to prevent self-destruction. Tour support comes from Viking Moses. Viking Moses announces his fifth album, Cruel Child, out Friday 5 April on Epifo Music, plus a new video, and an international tour. Nearly 13 years since his proper debut as Viking Moses, Baltimore musician Brendon Massei is slated to release his fifth album. As one would expect from someone who is noted for having consistently toured since 1993, Cruel Child offers a dozen dusty and deep and wistful explorations of the soul, written in such a manner they could only have come from a master traveler of dark and imposing paths both literal and philosophical. Yet in darkness, light; it would be wrong to fully assume that Cruel Child is an album that wallows in its misery. Yes, Massei sings with a deep and haunted voice reminiscent of Mark Lanegan, Will Oldham and David Eugene Edwards, but like those masters, Massei is adept at hiding beautiful, tender, and positive messages that are shrouded in mystery and melancholy. Cruel Child is an album of dark sounds, to be sure; it is a beautiful darkness, though – one that should not be feared, but embraced. It is an album that unfolds itself slowly; its foreboding and lonely trails growing lighter on subsequent listens, revealing hidden beauty and truth with every visit.